Posted November 30, 2010 in Dean Kotz, Mister Miracle. 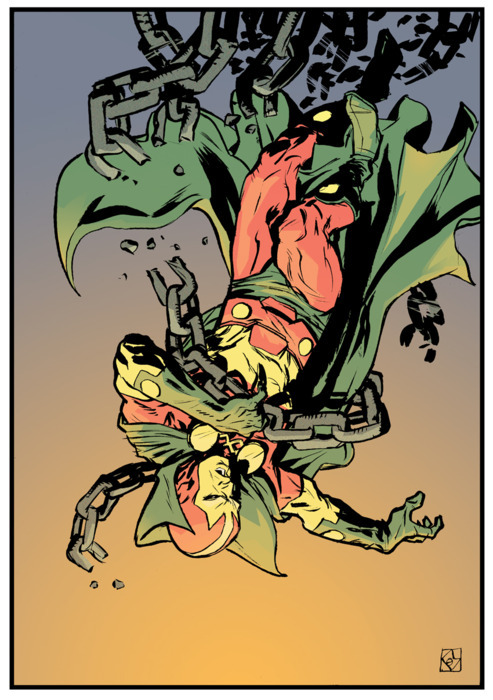 Another daring escape by Mister Miracle courtesy of Philadelphia based artist Dean Kotz. Dean’s comic credits include Poe for Boom Studios and The Black Coat for Ape Entertainment, amongst others. You can find more of his work at his sketch blog and DeviantArt page.